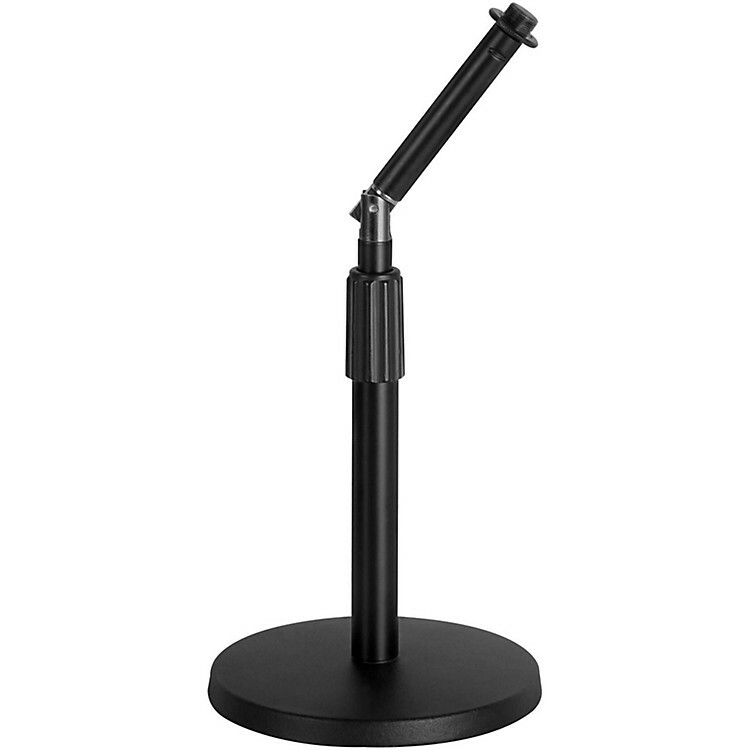 This desktop microphone stand tilts and stays put without knobs to tighten thanks to On-Stage Stands’ proprietary Rocker-Lug. The DS8200 stand eliminates the need for a boom arm in most cases thanks to its 40 degrees of tilt. The stand’s height is adjustable from 9-14 1/4 in. and is threaded to fit most microphone clips. The On-Stage Stands Adjustable Desktop Rocker-Lug Mic Stand is useful for home studios, podcasts, DJs, stages, kick drums, amplifiers and pianos. Adjustable height from 9-14 1/4 in. Order now for a versatile and highly-adjustable microphone stand.